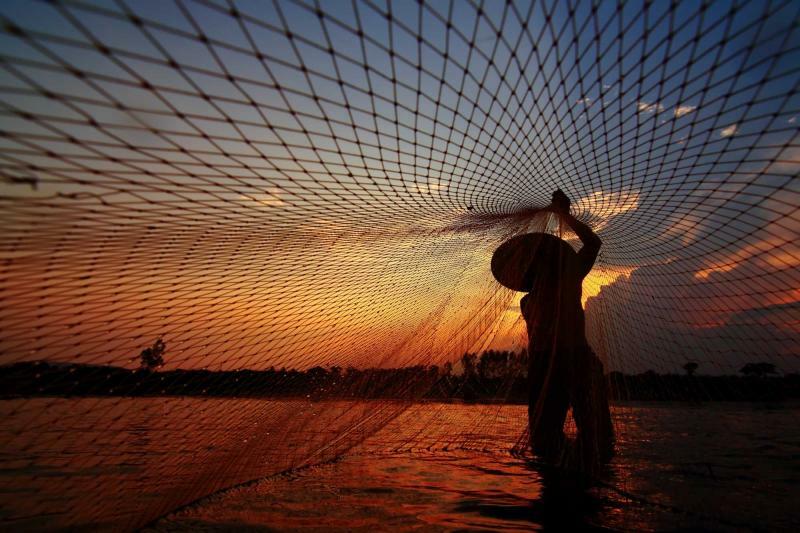 Life along the Mekong Delta is extremely vibrant, diverse, and truly unique. 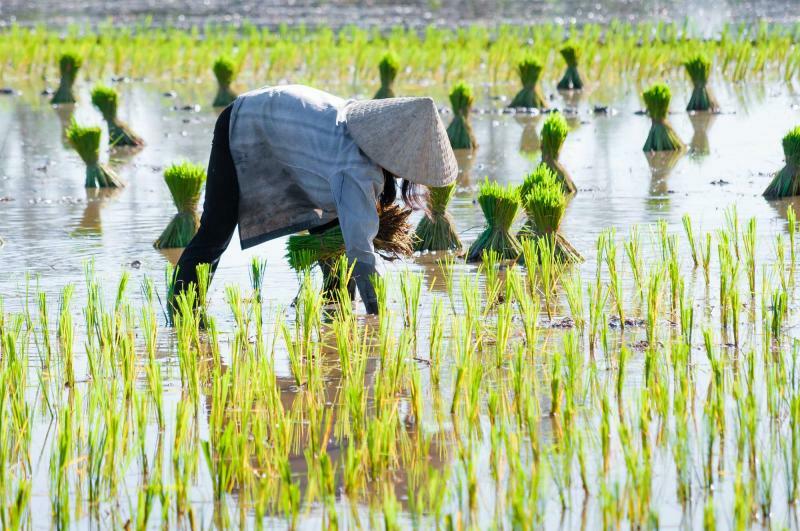 This custom tailored tour will take you down the tremendous waterway to experience the expansive paddy fields and fabulous culture, the incredible wildlife and colorful floating markets. Spend your time drifting down secret canals that lead you to quiet villages. Look out over vast meadows filled with elegant birdlife. From unparalleled temples to friendly faces, you will find the beauty in Vietnam and the unforgettable charm of the Mekong Delta. The scent of ginger and chili fill the air. Water gently guides you along the lush riverbanks. You see local fishermen casting nets in the early morning light. 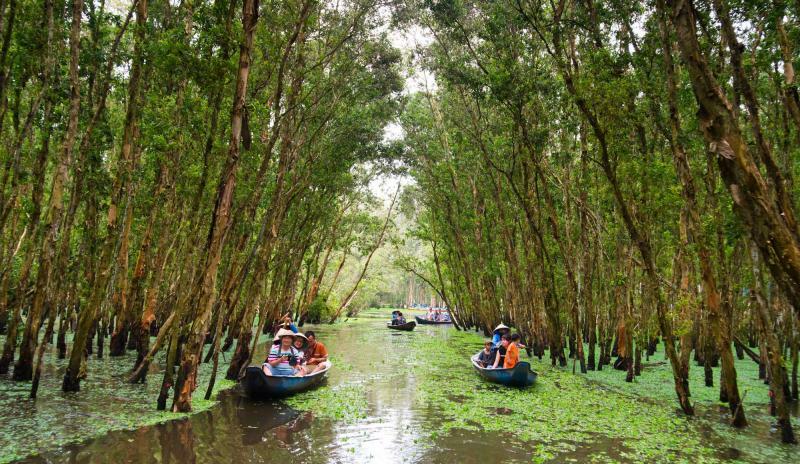 On this 7-day tour through the Mekong Delta you will find yourself in front of the exquisite cultures and vibrant landscapes of Vietnam. Whether you are a history enthusiast or an amateur anthropologist, a river ecologist or if you are just a fan of floating down a river, you will find the amazing lifestyle of the delta. 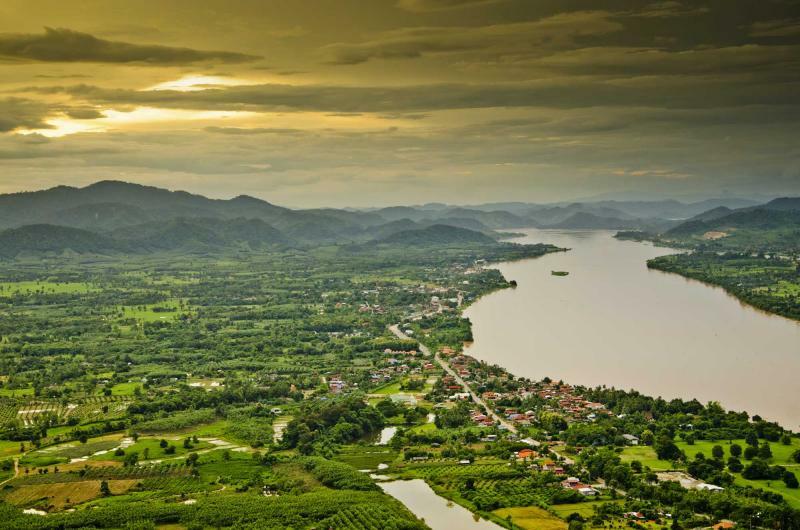 From vivacious citrus orchards to encompassing floating markets, the Mekong is one long endless world for you to explore. 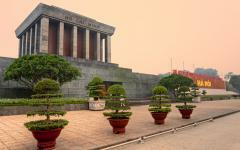 Your riverside journey begins in Ho Chi Minh City on the banks of the Saigon River. The city is the commercial capital of Vietnam and is known for its endless energetic neighborhoods. Your first day will give you time to relax and settle into the culture of the country. The people are gregarious and curious. 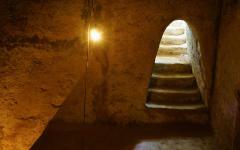 The city seems to whir with excitement, from the French architecture to the hidden temples. That evening you will have dinner with your guide before setting out on the delta the following morning. Venture through My Tho en route to Vinh Long. Once there you will climb aboard your boat and begin your exploration of the famed canals. Visit remarkable tropical fruit orchards and stunning cottage industries, local confectionaries and charming bonsai gardens. 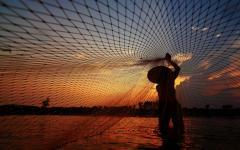 In the evening you settle into the town of Can Tho. 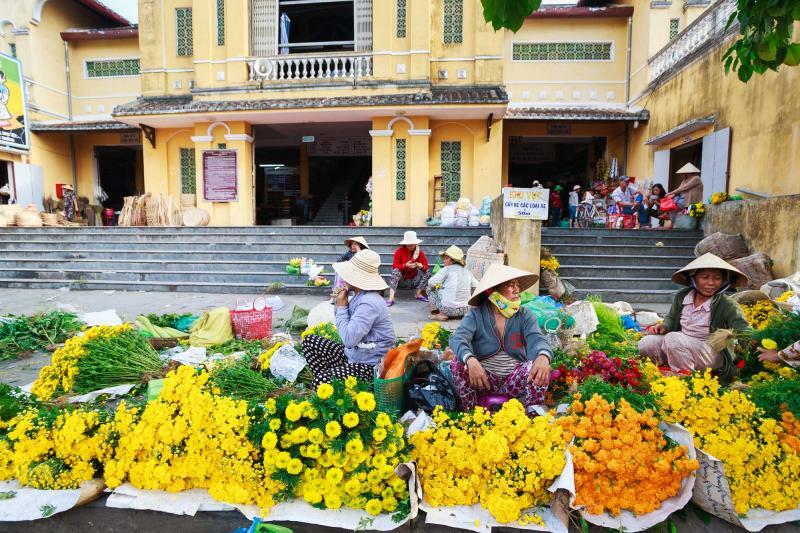 The morning brings with it bustling floating markets to experience on your way to the village of Soc Trang and its exceptional temples and cultural life. The next day will take you along the Bassac River to Tam Nong and finally to the Tram Chim National Park and Wetlands Reserve. The morning takes you out into the wildlife in search of the fabulous avifauna. In the afternoon you will come to Chau Doc and experience the collection of cultures, from ethnic Chinese to Khmer, along with the Cham Muslim villagers. Return to Ho Chi Minh City with the remainder of the day at your leisure to enjoy the fast-paced streets and bubbling markets. The next day you will have a private transfer to the airport to make the journey home. 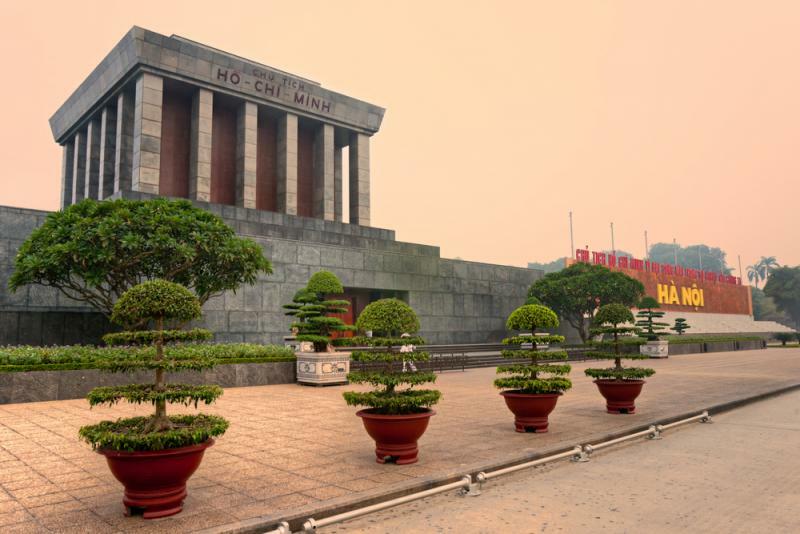 Welcome to Ho Chi Minh City, the commercial capital of Vietnam. The city hides its culture beneath the rising modern luxury. The skyline is active and vibrant. The city lights create a rush of endless energy. The banks of the Saigon River are lined with decadent restaurants that offer tremendous views of the graceful winding water. The streets are a whirr that displays the city’s constant movement. Your local guide meets you at the airport and escorts you to your accommodation for the evening. 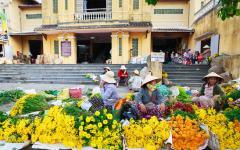 Ben Thanh Market comprises one of the liveliest and most quintessentially Vietnamese areas of the city. Mint, garlic, and ginger blend together to form enticing aromas. Soft silk is displayed in flashes of color inside some of the market’s endless stalls. 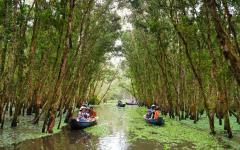 In the evening you will enjoy a dinner with your guide who, the next day, will take you through the incredible culture and scenery of the Mekong Delta. The city boasts an endless selection of brilliant restaurants that offer traditional Vietnamese flavors or even fuse the traditional with the unique. Nha Hang Ngon is popular amongst the locals and is housed inside a restored French Colonial mansion. The restaurant serves a wide array of Vietnamese dishes that range from simple hand made spring rolls to the popular central Vietnamese dish of Cao Lau. The streets seem to brim no matter the time of day as you make your way back to the hotel to settle in for the night. The morning blankets the city and the streets are once again bursting with energy. You find the rich aroma of Vietnamese drip coffee close by. Locals mix condensed milk into the velvety drink that turns the dark color creamy and adds a touch of sweetness to the roast. The scent of buttery croissants is another reminder of the country’s French Colonial past. Your guide meets you at your hotel after breakfast and you begin to wind your way through the city’s streets en route to My Tho. The buildings and skyscrapers fall behind you. The road opens up and you find the colorful countryside extending to the horizon. My Tho was founded in the 17th century and relies on the cultivation of rice, coconuts, and citrus fruits. It has become an important market town to the surrounding countryside. Riverside buildings stand on stilts and overlook the water. In monsoon season the river rises and falls in accordance with the rainfall. 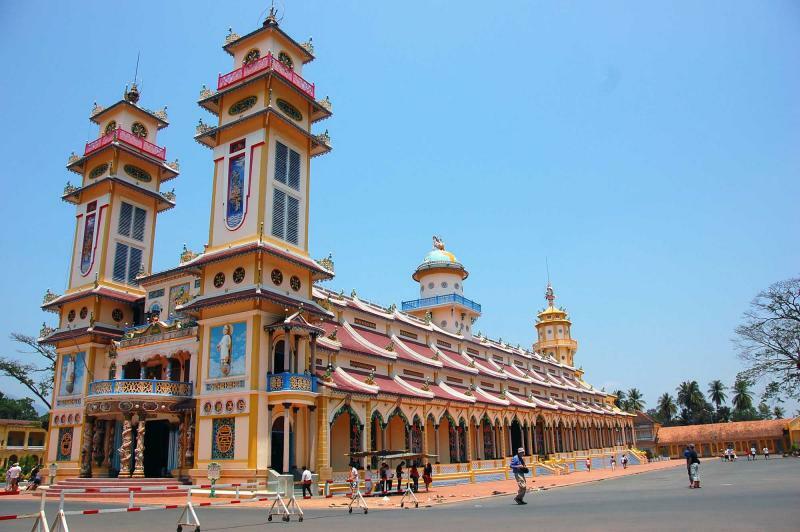 After a brief stop in the city you will continue onward to Vinh Long. The riverfront is filled with caves and restaurants. Locals and visitors sit on the patios and watch the boats float up and down the river. You can see a fruit vendor selling mangos and milk apples. The luscious scent of plums rises through the air. It is here that you step aboard your boat that will take you along the incredible stretch of Mekong. The river begins at the Tibetan Plateau and winds all the way down to the South China Sea to create the “Nine Dragons,” the nine separate river outlets in Western Vietnam. As you float down the river the breeze is cool and brings the scent of the local tropical fruit orchards that run alongside the riverbanks. The farms can be found along the myriad of small canals. Delicate bamboo bridges arch over the channel. When you visit the farms you find oranges and jackfruit dangling from the branches. The natural colors are vivacious. The aroma is electric. In the evening you come to Can Tho and settle in alongside the water. You notice the gardens decorating the waterfront of Can Tho. They contain lovely sculptures that capture the sunlight in the afternoon. However, dawn is the busiest time of day along the water. As you leave the city you find the famous floating markets of the Mekong in full swing. Boats from all over the delta flock to the market which is most active in the early morning. Vendors come from the local flower farms, orchards, and fishing villages to buy and sell their goods. The town’s streets are sleepy but the river is filled with long flat wooden boats. Each boat almost overflows with goods, from jackfruit to spinach, limes to oranges. The women wear iconic conical hats as they angle and paddle their boats through the melee of the market. The scent of fresh noodle soup emanates from one of the sampans, a traditional wooden canoe. In the late morning you will come to Soc Trang, a village home to a population that is over a quarter Khmer. Buu Son Tu is a temple in the mountain that is over two centuries old. The inner gallery is unique in that every object is made of clay. The hands of a single monk molded hundreds of statues and sculptures. 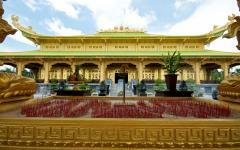 The scent of sandalwood drifts from burning incense. A six-tusked clay elephant stands near the entrance. You enter a completely different world inside the Clay Pagoda and find how beautiful the persistence of a devout monk can be. You return to Can Tho for the night. The morning in Can Tho is quiet and refreshing. You indulge in a rejuvenating cup of Vietnamese coffee before you begin your morning exploration of the delta and follow the Bassac River northwest. Eventually you will come to Tram Chim National Park and Wetlands Reserve. The park encompasses almost 30 square miles of land. The land is flat and open with rising reeds and lush plains. There are over 200 bird species in the area including the rare redheaded crane that can grow up to six feet tall. When the sun begins to set beyond the horizon you can watch the endless colors of dusk drape over the sky. You can hear birds calling through the reeds. Flocks of geese fly through the distant sky. Lily pads almost cover one of the coursing canals. By the time night sweeps through the park you have settled into your accommodation and dream of the majesty to come. The sunlight rises over the vast wetlands that are divided by winding canals. The light spreads effervescent color into the skyline. The rich purples give way to pink and fade into the blue morning. The early hour chorus of birds begins. The variety of birdcalls is active and wild. You can hear the combination of chirps and hoots emanating from the meadow. When you venture out along the canals you find fish floating to the surface in search of a morning meal. Birds circle overhead. The active biosphere is in full motion. The sun continues to drift away as you return to the larger body of the Bassac River eventually coming to Chau Doc. 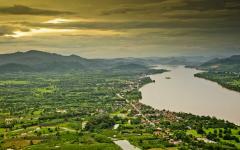 The town sits on the banks of the river and is filled with the eclectic cultures of Chinese, Cham, and Khmer communities. 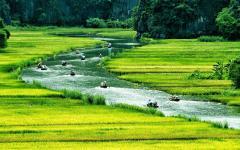 The paddy fields extend outwards from the town like an ocean of greenery. You can see Sam Mountain, the largest peak in the province, standing 690 feet tall. The Mubarak mosque sits on the bank opposite Chau Doc. The twin domes and immaculate white minarets rise into the air like clouds against the backdrop of blue sky. Men wear sarongs and sport white prayer caps. The mosque was constructed in the mid 18th century with bamboo pillars and feels unique to the riverside community. At the base of Sam Mountain you will find the Tay An Pagoda that dates back to the mid 19th century. Incense wafts from the gallery. Two elephant statues guard the entrance. 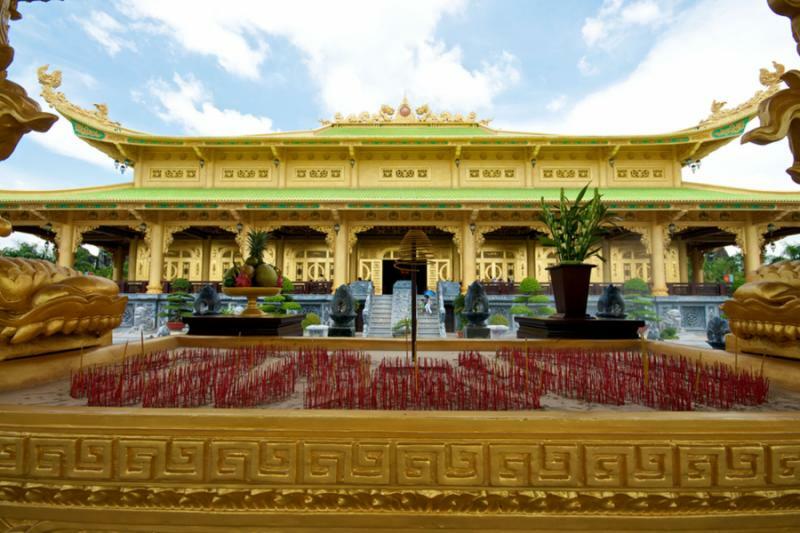 There are over 200 statues inside the temple, many of Buddha; however, there is also a single life-like statue of an honored monk that sits on a varnished table in the back chamber. 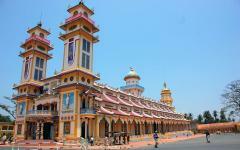 Chau Doc is situated at the intersection of the Bassac and Mekong River. Pastel colors wash across the storefronts. The morning market comes into full swing after sunrise and you can once again see the vibrant culture of the river. You can even see a plethora of boats with pyramids of colorful lychees filling the hull. After breakfast you make the return journey to Ho Chi Minh City. The streets are as lively as you remember but this time it greets you with comforting familiarity. The spires of the Notre Dame Cathedral continue to stand over 190 feet tall. The rose window adorns the façade. The materials to construct the church were brought over from Europe in the 19th century, from the exterior’s stone walls to the interior’s marble floors. When you enter the church the city’s bustle is replaced by a tranquil ambiance. You are surrounded by the scent of myrrh and the lofted ceilings arch high above you. In the evening you can enjoy the flavors of the Refinery Bar and restaurant. The bistro-like ambiance is embellished by the garden terrace location. 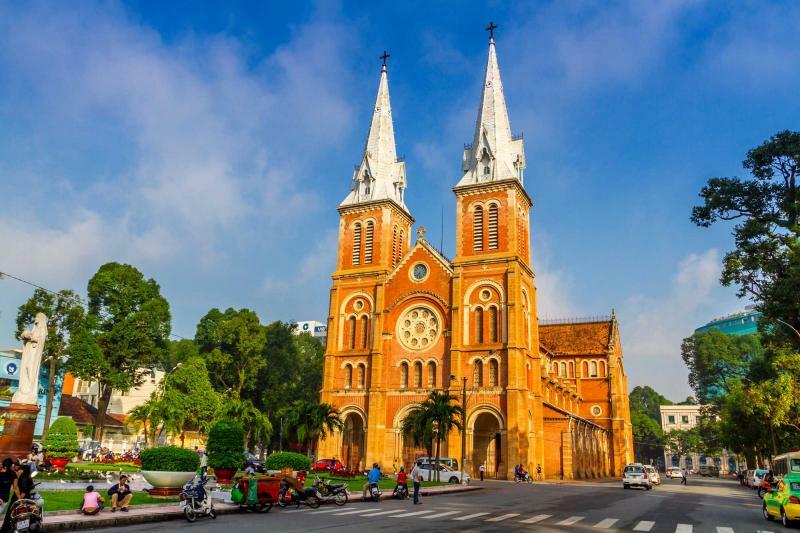 With the memory of the cathedral and the charm of the French décor it will feel like you have been transported to Paris even though you are in the center of Saigon. The city comes to an eager whirr in the morning. You can’t help but think of the elegant bonsai farms and subtle trickle of the backwater canals that felt like your own little secret. You indulge in the Vietnamese drip coffee. The flavor is decadent and deep. The emerald, overarching trees of the riverbanks are still vibrant in your thoughts. The floating markets are inescapably palpable. After breakfast your private transfer meets you at the hotel and takes you to the airport for your flight home. The delta brought you culture and wildlife, natural landscape and stunning farms. 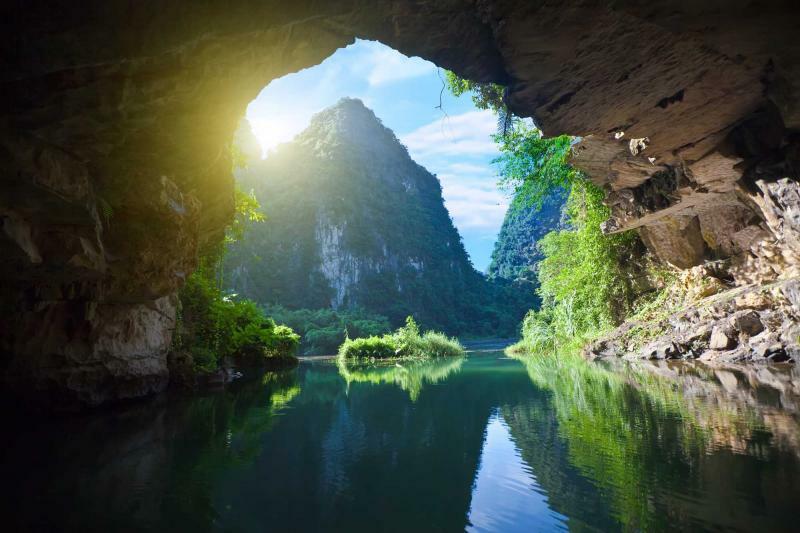 As your flight departs you know that Vietnam will call you back soon. 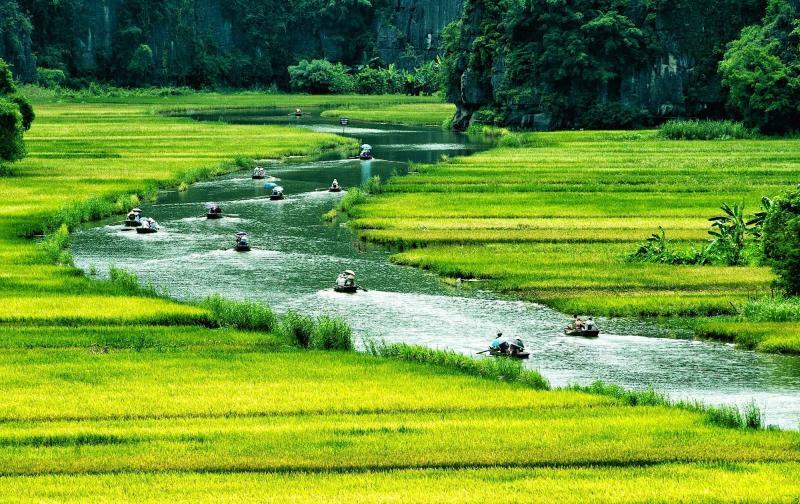 For ideas on how to extend this trip, browse the Vietnam vacation tours section or read the reviews for Vietnam tour operators.